Sickness is inevitable and unfortunately, at some point, you can be sure that your little one will come down with a bug. So what do you do when your child can hardly breathe? If your precious little one is dealing with congestion, then essential oils are a very good and natural way to help open up sinus and chest passages and help her be able to breathe again. But before you’re too quick to grab just essential oils for congestion, you need to know which ones use and which to use. Never ever give essential oils to your child to ingest internally. Also be very careful to use a safe carrier oil such as almond, or fractionated coconut oil to blend your oils with. Some oils are considered hot oils and could burn your child’s skin. Also, before rubbing your child’s chest down with essential oils, test a little bit on a patch of skin to see how your child responds. Does it make her burn or itch? Better to be safe than sorry. You won’t want to rub essential oils all over her chest and then find out she can’t tolerate them. And lastly, before we get into which essential oils are safe for kids and which are not, if your child ends up experiencing burning from the essential oil, then simply rub pure, undiluted carrier oil onto the skin and that will help ease the discomfort. Now let’s talk about which essential oils for congestion are safe to use in kids, because the chances are, you’re probably dealing with a sick little one as you read this and you just need to know what will help and, quick! Lavender oil has relaxing properties and can help soothe a child who is congested. It has been known to open up airways and help breathing become easier. Inhaling the vapors of tea tree oil is a very effective way to treat breathing difficulty and congestion. Tea tree oil is also a hot oil, so be very careful. Chamomile can help treat the infection causing the congestion, so when your little one is sick it’s a great oil to reach for. Frankincense oil is a great anti-inflammatory. Use frankincense oil to help cut back the swelling in sinus passages and thus, help with the congestion. In general frankincense oil is a great healing oil, so it’s a wonderful oil to grab when your child is struggling with congestion. Rosalina oil is great for helping remove excess mucus and clear up painful sinus pressure. It also improves lung function, making it an excellent choice for helping with congestion. Though not as well known as other essential oils, Balm Mint Bush is excellent for clearing up congestion, making it a go-to for sick little ones. It helps ease breathing difficulties and is well worth keeping on hand. Since Lemon is stimulating on the sinuses, it can help to quickly relieve congestion. It’s cheerful fragrance can also help lift the mood when sickness hits. Not only will Clary Sage help clear up sinus congestion, it also helps attack the illness at its root cause, making it a great choice for your sick little one. Fir Needle helps ease congestion associated with sickness and is quick to open up the sinuses. It’s a great oil to have on hand for fast-acting sinus relief. Cedarwood is great for coughs and easing chest congestion. It is very effective at reducing phlegm. It has also been known to treat other symptoms of a respiratory illness, such as headaches and watery eyes. Spearmint contains menthol, which is a natural decongestant. It is also great for relieving sore throats and chest congestion. When treating children with essential oils safety is always the first concern. There are few different ways that you can administer oils to help treat congestion in your kids. Use a mild carrier oil such as almond oil or coconut oil and add a few drops of essential oils to the carrier oil. Less is more. Don’t overdo the amount of oils you add to the carrier oil. A little bit goes a long way where essential oils are concerned. Feel free to add a couple of different essential oils to your carrier oil, using a drop or two of each. Then, as mentioned earlier, do a test patch on your child. Please do not rub essential oils all over your little one’s chest and definitely not ever without a carrier oil. Instead, test it out by putting a small amount of the oil blend on a tiny patch of your child’s skin and then wait to see if your child tolerates it well. If, after waiting your child tolerates the essential oils, then feel free to rub the oils on your child’s chest, back, behind the ears, and also on the bottoms of her feet. Breathe Well Salve is another safe topical application for helping your child find relief from congestion. It’s very effective in helping your little one breathe well, despite a nasty bug. Breathe Well Salve uses child-safe oils and is free of fragrances, parabens, sulfates, and polysorbate 80. Diffusing oil is also a great way to use essential oils for congestion. You can choose any one of the oils that are safe for children and even use a mixture of two or more. Follow the manufacturer’s instructions for your diffuser for setting up the amount of water and oils. Put your child up in the same room as the diffuser. But, as a note of precaution, keep a close eye on how your child responds. You’ll want to make sure you diffuse your oils safely. It’s important to turn the diffuser on and off instead of letting it run indefinitely. Sometimes 10 minutes of diffusing an oil is enough for your child to experience the benefits. If you keep the diffuser running too long, it could cause adverse effects. If you don’t have a diffuser, you can get the same effect by making a tent. Put hot water in a bowl and drop in a few drops of essential oils of your choice. Then carefully and with supervision, drape a towel over your child’s head and have her breathe in the steam slowly. Since you will be using hot water, please do not leave your child unattended. Another option is to turn the shower on and drop some essential oils on the floor. Be sure to shut the bathroom door to keep the steam in the bathroom. Then, as you supervise your child, let her stand in the shower with the water as warm as she can tolerate it, breathing in the essential oils. Some essential oils are just not safe for kids to use. 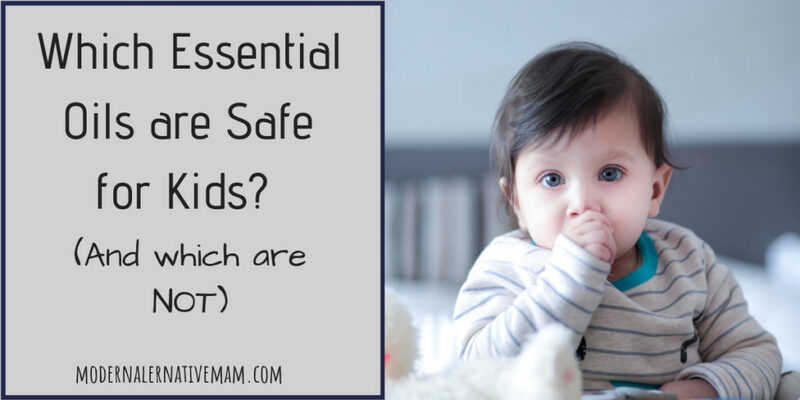 The list above is full of essential oils that are all commonly agreed to be safely used in children. There are many oils that are not safe for use in kids at any dillution, though. 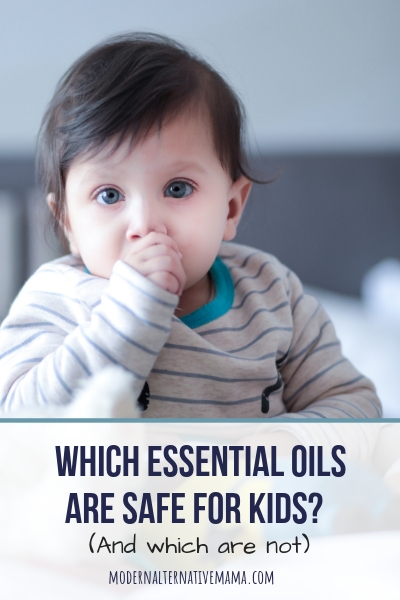 Find out what oils and constituients of oils should be avoided, plus even more kid-safe oils here. Although sickness is unavoidable, it doesn’t have to be miserable. With the proper use of essential oils you can safely treat your child’s congestion and have her back up and running in no time flat. Which essential oils for congestion do you keep on hand? Do you have any favorite blends that you like to use?